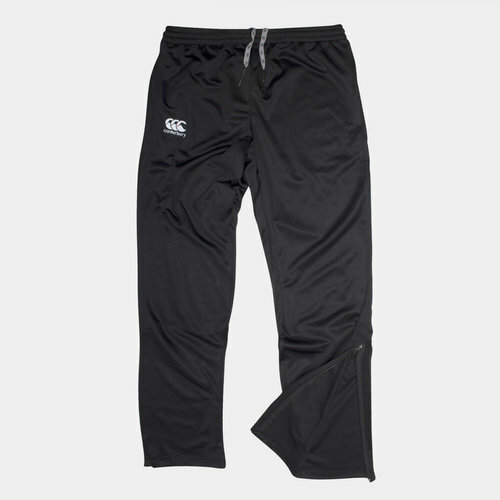 Stay comfy both on and off the field whether training or taking it easy with these Canterbury CCC Tapered Poly Knit Stretch Rugby Pants in Black. 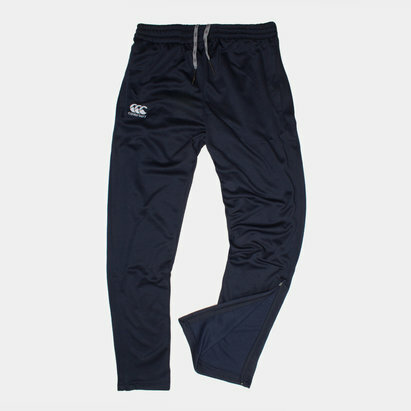 These men's tracksuit bottoms, designed by rugby clothing and equipment specialists Canterbury, are made from polyester and have a stretchy tapered fit that hugs the wearer's legs. Security and comfort is guaranteed thanks to an elasticated waistline and drawstrings and pockets at the sides are handy for keeping hold of essentials whilst zips on the hems provide easier access and allow them to be rolled up easier for increased ventilation. 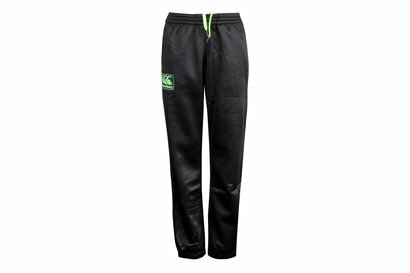 Great for exercising in on the practice pitch or in the gym, these cosy track pants are also great for wearing as casualwear and chilling out in on rest days. Relax or train in these CCC Tapered Poly Knit Stretch Rugby Pants from Canterbury.